Shinshu Brave Warriors Nagano (BJ League) inked 29-year old Somalian ex-international forward Mohamed Abukar (208-85, college: San Diego State, agency: Two Points). He has a double citizenship as he also holds American passport. He managed to play in three leagues in two countries last year (!!!). Abukar played most recently at Lugano Tigers in Swiss LNA league. In 15 games he averaged impressive 17.9ppg, 3.3rpg and 2.3apg. He helped them to win the league title. A very good season in his career as he was selected to Eurobasket.com All-Swiss LNA 3rd Team. Abukar also played at Spirou Charleroi (Ethias League) in Belgium that season. In 11 games he had 11.6ppg and 5.2rpg. He also played 8 games in Eurocup where he had 12.3ppg and 3.1rpg. The most of previous (2012-13) season Abukar spent at Rabotnicki (Prva Liga) in FYR Macedonian league. In 18 games he had very remarkable stats: 18.3ppg, 5.7rpg and 1.7apg in 2012-13 season. The other team he played shortly was Lukoil Academic Sofia (NBL) in Bulgarian league. The team played in three different competitions that year, and Abukar was exposed to basketball on different levels. In 7 NBL games he had 14.3ppg, 3.6rpg and 1.9apg in 2012-13 season. He also played 1 game in Euroleague where he recorded 5 points and 2 rebounds in 2012-13 season. Abukar also played 6 games in Eurocup where he had 13.8ppg, 2.5rpg and 1.0apg in 2012-13 season. 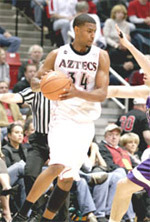 He attended San Diego State until 2007 and it will be his eighth season in pro basketball. Among other achievements Abukar received Eurobasket.com All-Macedonian League Import Player of the Year award in 2013. He was a member of Somalian Senior National Team last year. Abukar has played also professionally in Holland (ABC Amsterdam), Italy (AV Cantu) and D-League (Idaho Stampede). His game is described as: A quick and agile forward, with good fundametals, who can score well from inside and ouitside the paint. Has a good shooting range, runs very well the court for a player of his size.